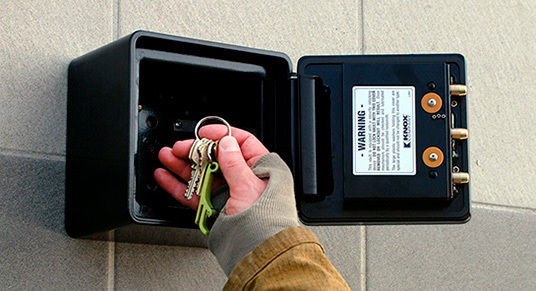 At a minimum, a 3200 series, surface mounted, standard size box shall be ordered and installed on building for securing access keys as needed. You may order a recessed style box, or a larger sized box if you like, based on your individual needs. Please contact your Inspector for mounting location requirements prior to installing your Knox Box.